At BUILD 2015, beside Holographic Academy, the only HoloLens related session is “Case Studies of HoloLens App Development”. It’s some of HoloLens partners from NASA Jet Propulsion Laboratory, architecture company Trimble, Case Western Reserve University and HoloLens’ own user experience team. The video below is the recording or the panel discussion. It’s more of designer’s point of view, and general user experience. C# and Unity was mentioned, but don’t expect any coding. I put down some notes below the video in case you don’t have time to watch the video. So far, Holographic Academy is a BUILD only setup, outside of it, developers still don’t have a way to access the device. Experience the development process. The development process is much like development for Windows Phone. MicroUSB to USB connect the device (HoloLens) to PC. You run Visual Studio and Unity on the PC, deploy the binary directly to device. The emulator is never mentioned, not sure if there is one. The mouse cursor moves from computer screen to the hologram is magical, I will research on that later. 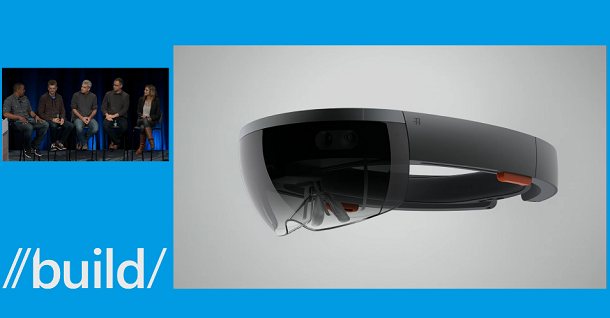 NASA still plan to use HoloLens in the summer. He didn’t say July. Last time Microsoft said July. Speaking of NASA, I just can’t imagine if there is a small FOV, like people said, to use that for the real Mars Explorer mission. I think there is something else. Please check my last post here.